If youre looking for the lowest cost option when parking your car its worth parking a little further away. You can just hop on the courtesy bus and make your way to the terminal - it'll take no longer than two minutes to get there. By travelling a little further with Liverpool airport's park and ride HolidayExtras.com® can give you a fantastically low pre-book price - you could be making savings of up to 60 per cent. What is Liverpool park and ride parking? Liverpool airport park and ride is a great system that allows you to drive to the car park, leave your car with us to be parked and hop on to a transfer bus straight to the Liverpool airport terminal. Skypark parking at Liverpool is a park and ride car park and is just a 90 second transfer from the terminal. You get the benefit of a great price with a quick and easy transfer available on request, so there's no set timetable and you can come and go as you please. What's the benefit of pre-booking? Our services are popular, and they get booked up fast. So the best way to get our lowest prices is to book in advance ahead of everyone else. If you want to turn up and pay on the day, thats fine but youll end up paying a lot more than you need to for a service you know youll need. We think its much easier to sort out your Liverpool airport parking as soon as you can - maybe even at the same time you book your holiday. Youll be able to tick another thing off your holiday checklist happy that you got an amazing price. Its our best advice because its a really easy way to save yourself some money. What park and ride parking is available at Liverpool? We have two types of parking at Liverpool airport that offer transfers to the terminal. Theyre both really convenient and your transfer time will be less than two minutes no matter which you choose. Our lowest prices and most flexible deals are usually found at the Skypark car parks. 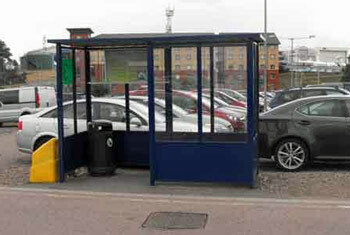 The Liverpool Airport Skypark provides both indoor and outdoor parking. 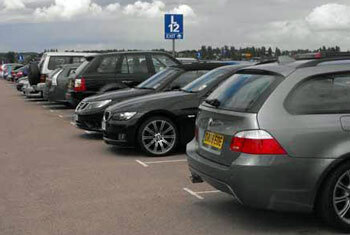 If you want to keep costs down the outdoor parking is the cheapest and your car will be no less secure. However, if you'd rather not leave your car exposed to the elements, the slightly higher costed indoor parking is a superb option. To book either of these options, all you need to do is make a search for the dates of your holiday and you'll see both in the search results page.